Bråthen, Kari Anne; Gonzalez, Victoria; Yoccoz, Nigel Gilles. Gatekeepers to the effects of climate warming? Niche construction restricts plant community changes along a temperature gradient. Perspectives in plant ecology, evolution and systematics 2018; Volum 30. ISSN 1433-8319.s 71 - 81.s doi: 10.1016/j.ppees.2017.06.005. Tuomi, Maria Wilhelmina; Stark, Sari; Hoset, Katrine Skamfer; Väisänen, Maria; Oksanen, Lauri; Murguzur, Francisco Javier Ancin; Tuomisto, Hanna; Dahlgren, Jonas; Bråthen, Kari Anne. Herbivore Effects on Ecosystem Process Rates in a Low-Productive System. (fulltekst) Ecosystems 2018. ISSN 1432-9840.s 1 - 17.s doi: 10.1007/s10021-018-0307-4. Soininen, Eeva M; Henden, John-André; Ravolainen, Virve; Yoccoz, Nigel Gilles; Bråthen, Kari Anne; Killengreen, Siw Turid; Ims, Rolf Anker. Transferability of biotic interactions: temporal consistency of arctic plant-rodent relationships is poor. Ecology and Evolution 2018; Volum 8. ISSN 2045-7758.s 9697 - 9711.s doi: 10.1002/ece3.4399. Loison, Anne; Paye, Simon; Schermann, Agnes; Bry, Clementine; Gaillard, Jean-Michel; Pelabon, Christophe; Bråthen, Kari Anne. The domestic basis of the scientific career: gender inequalities in ecology in France and Norway. European Educational Research Journal 2017; Volum 16 (2-3). ISSN 1474-9041.s 230 - 257.s doi: 10.1177/1474904116672469. Moodie, Lindon; Trepos, Rozenn; Cervin, Gunnar; Bråthen, Kari Anne; LindgÅrd, bente; Reiersen, rigmor; Cahill, Patrick; Pavia, Henrik; Hellio, Claire; Svenson, Johan. Prevention of Marine Biofouling Using the Natural Allelopathic Compound Batatasin-III and Synthetic Analogues. Journal of natural products 2017; Volum 80 (7). ISSN 0163-3864.s 2001 - 2011.s doi: 10.1021/acs.jnatprod.7b00129. Bråthen, Kari Anne; Ravolainen, Virve; Stien, Audun; Tveraa, Torkild; Ims, Rolf Anker. Rangifer management controls a climate-sensitive tundra state transition. Ecological Applications 2017; Volum 27 (8). ISSN 1051-0761.s 2416 - 2427.s doi: 10.1002/eap.1618. Barrio, Isabel C.; Lindén, Elin; te Beest, Mariska; Olofsson, Johan; Rocha, Adrian; Soininen, Eeva M; Alatalo, Juha M.; Andersson, Tommi; Asmus, Ashley; Boike, Julia; Bråthen, Kari Anne; Bryant, John P.; Buchwal, Agata; Bueno, C. Guillermo; Christie, Katherine S.; Denisova, Yulia V.; Egelkraut, Dagmar; Ehrich, Dorothee; Fishback, LeeAnn; Forbes, Bruce C.; Gartzia, Maite; Grogan, Paul; Hallinger, Martin; Heijmans, Monicque M.P.D. ; Hik, David S.; Hofgaard, Annika; Holmgren, Milena; Høye, Toke T.; Huebner, Diane C.; Jonsdottir, Ingibjørg; Kaarlejärvi, Elina; Kumpula, Timo; Lange, Cynthia Y.M.J.G. ; Lange, Jelena; Lévesque, Esther; Limpens, Juul; Macias-Fauria, Marc; Myers-Smith, Isla; Van Nieukerken, Erik J.; Normand, Signe; Post, Eric S.; Schmidt, Niels Martin; Sitters, Judith; Skoracka, Anna; Sokolov, Alexander; Sokolova, Natalya; Speed, James David Mervyn; Street, Lorna E.; Sundqvist, Maja K.; Suominen, Otso; Tananaev, Nikita; Tremblay, Jean-Pierre; Urbanowicz, Christine; Uvarov, Sergey A.; Watts, David; Wilmking, Martin; Wookey, Philip A.; Zimmermann, Heike H.; Zverev, Vitali; Kozlov, Mikhail V.. Background invertebrate herbivory on dwarf birch (Betula glandulosa-nana complex) increases with temperature and precipitation across the tundra biome. Polar Biology 2017; Volum 40 (11). ISSN 0722-4060.s 2265 - 2278.s doi: 10.1007/s00300-017-2139-7. Hoogensen Gjørv, Gunhild; Dale, Brigt; Lvova, Maria; Bråthen, Kari Anne; Gonzalez, Victoria; Bazely, Dawn; Christensen, Julia; Tanentzap, Andrew; Bojko, Evgeny. Human Security in the Arctic: The IPY GAPS Project. From Pole to Pole 2016. ISSN 2193-7338.s 181 - 201.s doi: 10.1007/978-3-642-12315-3_10. Gonzalez, Victoria; Junttila, Olavi; LindgÅrd, bente; Reiersen, rigmor; Trost, Kajetan; Bråthen, Kari Anne. Batatasin-III and the allelopathic capacity of Empetrum nigrum. Nordic Journal of Botany 2015; Volum 33 (2). ISSN 0107-055X.s 225 - 231.s doi: 10.1111/njb.00559. Tirado, Reyes; Bråthen, Kari Anne; Pugnaire, Francisco. Mutual positive effects between shrubs in an arid ecosystem. Scientific Reports 2015; Volum 5. ISSN 2045-2322.s doi: 10.1038/srep14710. Jansson, Roland; Nilsson, Christer; Keskitalo, E. Carina H.; Viasova, Tatiana; Sutinen, Marja-Liisa; Moen, Jon; Chapin, Stuart; Bråthen, Kari Anne; Cabeza, Mar; Callaghan, Terry V.; van Oort, Bob; Dannevig, Halvor; Bay-Larsen, Ingrid Agathe; Ims, Rolf Anker; Aspholm, Paul Eric. Future changes in the supply of goods and services from natural ecosystems: prospects for the European north. Ecology & society 2015; Volum 20 (3). ISSN 1708-3087.s doi: 10.5751/ES-07607-200332. Bråthen, Kari Anne; Jahiri, Xhevahire; Jusdado, Juan German Herranz; Soininen, Eeva M; Jensen, John Beck. Fungal endophyte diversity in tundra grasses increases by grazing. Fungal ecology 2015; Volum 17. ISSN 1754-5048.s 41 - 51.s doi: 10.1016/j.funeco.2015.05.002. Bråthen, Kari Anne; Lortie, Christopher. A portfolio effect of shrub canopy height on species richness in both stressful and competitive environments. Functional Ecology 2015. ISSN 0269-8463.s doi: 10.1111/1365-2435.12458. Bernes, Claes; Bråthen, Kari Anne; Forbes, Bruce C.; Speed, James David Mervyn; Moen, Jon. What are the impacts of reindeer/caribou (Rangifer tarandus L.) on arctic and alpine vegetation? A systematic review. Environmental Evidence 2015; Volum 4:4. ISSN 2047-2382.s doi: 10.1186/s13750-014-0030-3. Mörsdorf, Martin Alfons; Ravolainen, Virve; Støvern, Einar; Yoccoz, Nigel Gilles; Jonsdottir, Ingibjørg; Bråthen, Kari Anne. Definition of sampling units begets conclusions in ecology: The case of habitats for plant communities. PeerJ 2015; Volum 2015 (3). ISSN 2167-8359.s doi: 10.7717/peerj.815. Bråthen, Kari Anne; Ravolainen, Virve. Niche construction by growth forms is as strong a predictor of species diversity as environmental gradients. Journal of Ecology 2015; Volum 103 (3). ISSN 0022-0477.s 701 - 713.s doi: 10.1111/1365-2745.12380. Ravolainen, Virve; Bråthen, Kari Anne; Yoccoz, Nigel; Kollstrøm, Julie Orvik; Ims, Rolf Anker. Complementary impacts of small rodents and semi-domesticated ungulates limit tall shrub expansion in the tundra. Journal of Applied Ecology 2014; Volum 51 (1). ISSN 0021-8901.s 234 - 241.s doi: 10.1111/1365-2664.12180. Smis, Adriaan; Ancin Murguzur, Francisco Javier; Struyf, Eric; Soininen, Eeva M; Herranz, Jusdado Juan G; Meire, Patrick; Bråthen, Kari Anne. Determination of plant silicon content with near infrared reflectance spectroscopy. (data) Frontiers in Plant Science 2014; Volum 5. ISSN 1664-462X.s doi: 10.3389/fpls.2014.00496. Iversen, Marianne; Fauchald, Per; Langeland, Knut; Ims, Rolf Anker; Yoccoz, Nigel Gilles; Bråthen, Kari Anne. Phenology and cover of plant growth forms predict herbivore habitat selection in a high latitude ecosystem. PLoS ONE 2014; Volum 9 (6). ISSN 1932-6203.s doi: 10.1371/journal.pone.0100780. Soininen, Eeva Marjatta; Bråthen, Kari Anne; Herranz Justado, Juan German; Reidinger, Stefan; Hartley, Susan E.. More than herbivory: levels of silica-based defences in grasses vary with plant species, genotype and location. Oikos 2013; Volum 122 (1). ISSN 0030-1299.s 30 - 41.s doi: 10.1111/j.1600-0706.2012.20689.x. Ims, Rolf Anker; Ehrich, Dorothee; Forbes, Bruce C.; Huntley, Brian; Walker, Donald A.; Wookey, Philip A.; Berteaux, Dominique; Bhatt, Uma S.; Bråthen, Kari Anne; Edwards, Mary E.; Epstein, Howard E.; Forchhammer, Mads C.; Fuglei, Eva; Gauthier, Gilles; Gilbert, Scott; Leung, Maria; Menyushina, Irina; Ovsyanikov, Nikita; Post, Eric; Raynolds, Martha K.; Reid, Don G.; Schmidt, Niels M.; Stien, Audun; Sumina, Olga I.; van der Wal, René. Terrestrial Ecosystems. (fulltekst) (prosjekt) 2013 ISBN 978-9935-431-22-6.s 384 - 440. Pellissier, Loïc; Bråthen, Kari Anne; Vittoz, Pascal; Yoccoz, Nigel; Dubuis, Anne; Meier, Eliane S.; Zimmermann, Niklaus E; Randin, Christophe F; Thuiller, Wilfred; Garraud, Luc; Van Es, Jeremie; Guisan, Antoine. Thermal niches are more conserved at cold than warm limits in arctic-alpine plant species. Global Ecology and Biogeography 2013; Volum 22 (8). ISSN 1466-822X.s 933 - 941.s doi: 10.1111/geb.12057. Soininen, Eeva M; Ravolainen, Virve; Bråthen, Kari Anne; Yoccoz, Nigel; Gielly, Ludovic; Ims, Rolf Anker. Arctic Small Rodents Have Diverse Diets and Flexible Food Selection. PLoS ONE 2013; Volum 8 (6). ISSN 1932-6203.s doi: 10.1371/journal.pone.0068128. Bernes, Claes; Bråthen, Kari Anne; Forbes, Bruce C.; Hofgaard, Annika; Moen, Jon; Speed, James David Mervyn. What are the impacts of reindeer/caribou (Rangifer tarandus L.) on arctic and alpine vegetation? A systematic review protocol. (data) Environmental Evidence 2013; Volum 2. ISSN 2047-2382.s doi: 10.1186/2047-2382-2-6. Ravolainen, Virve; Bråthen, Kari Anne; Ims, Rolf Anker; Yoccoz, Nigel; Soininen, Eeva Marjatta. Shrub patch configuration at the landscape scale is related to diversity of adjacent herbaceous vegetation. Plant Ecology & Diversity 2013; Volum 6 (2). ISSN 1755-0874.s 257 - 268.s doi: 10.1080/17550874.2013.773104. Soininen, Eeva Marjatta; Zinger, Lucie; Gielly, Ludovic; Bellemain, Eva; Bråthen, Kari Anne; Brochmann, Christian; Epp, Laura; Gusarova, Galina; Hassel, Kristian; Henden, John-André; Killengreen, Siw Turid; Rämä, Teppo; Stenøien, Hans; Yoccoz, Nigel; Ims, Rolf Anker. Shedding new light on the diet of Norwegian lemmings: DNA metabarcoding of stomach content. Polar Biology 2013; Volum 36 (7). ISSN 0722-4060.s 1069 - 1076.s doi: 10.1007/s00300-013-1328-2. Gotzenberger, Lars; Bello, Francesco de; Bråthen, Kari Anne; Davison, John; Dubuis, Anne; Guisan, Antoine; Leps, Jan; Lindborg, Regina; Moora, Mari; Partel, Meelis; Pellissier, Loïc; Pottier, Julien; Vittoz, Pascal; Zobel, Kristjan; Zobel, Martin. Ecological assembly rules in plant communities—approaches, patterns and prospects. Biological Reviews 2012; Volum 87 (1). ISSN 1464-7931.s 111 - 127.s doi: 10.1111/j.1469-185X.2011.00187.x. Yoccoz, Nigel; Bråthen, Kari Anne; Gielly, L; Haile, J; Edwards, M E; Goslar, Tomasz; von Stedingk, Henrik; Brysting, Anne Krag; Coissac, Eric; Pompanon, François; Sønstebø, Jørn Henrik; Miquel, Christian; Valentini, A.; de Bello, F; Chave, J; Thuiller, Wilfred; Wincker, P; Cruaud, Corinne; Gavory, F; Rasmussen, M; Gilbert, M T P; Orlando, L; Brochmann, Christian; Willerslev, E; Taberlet, P. DNA from soil mirrors plant taxonomic and growth form diversity. Molecular Ecology 2012; Volum 21 (15). ISSN 0962-1083.s 3647 - 3655.s doi: 10.1111/j.1365-294X.2012.05545.x. Epp, Laura; Boessenkool, Sanne; Bellemain, Eva; Haile, James; Esposito, Alfonso; Riaz, Tiayyba; Erséus, Christer; Gusarov, Vladimir; Edwards, Mary E.; Johnsen, Arild; Stenøien, Hans K.; Hassel, Kristian; Kauserud, Håvard; Yoccoz, Nigel; Bråthen, Kari Anne; Willerslev, Eske; Taberlet, Pierre; Coissac, Eric; Brochmann, Christian. New environmental metabarcodes for analysing soil DNA: potential for studying past and present ecosystems. Molecular Ecology 2012; Volum 21 (8). ISSN 0962-1083.s 1821 - 1833.s doi: 10.1111/j.1365-294X.2012.05537.x. Hausner, Vera Helene; Fauchald, Per; Tveraa, Torkild; Pedersen, Elisabeth; Jernsletten, Johnny-Leo L.; Ulvevadet, Birgitte; Ims, Rolf Anker; Yoccoz, Nigel; Bråthen, Kari Anne. The Ghost of Development Past: the Impact of Economic Security Policies on Saami Pastoral Ecosystems. Ecology & society 2011; Volum 16 (3). ISSN 1708-3087.s doi: 10.5751/ES-04193-160304. Jensen, John Beck; Gonzalez, Victoria; Guevara, Diego Urrutia; Bhuvaneswari, T.V; Wali, Piippa R; Tejesvi, Mysore V; Pirttila, Anna Maria; Bazely, Dawn; Vicari, Mark; Bråthen, Kari Anne. Kit for detection of fungal endophytes of grasses yields inconsistent results. Methods in Ecology and Evolution 2011; Volum 2 (2). ISSN 2041-210X.s 197 - 201.s doi: 10.1111/j.2041-210X.2010.00066.x. Ravolainen, Virve; Bråthen, Kari Anne; Ims, Rolf Anker; Yoccoz, Nigel; Henden, John-André; Killengreen, Siw Turid. Rapid, landscape scale responses in riparian tundra vegetation to exclusion of small and large mammalian herbivores. Basic and Applied Ecology 2011; Volum 12 (8). ISSN 1439-1791.s 643 - 653.s doi: 10.1016/j.baae.2011.09.009. Pellisier, Löic; Bråthen, Kari Anne; Pottier, Julien; Randin, Christophe E.; Vittoz, Pascal; Dubuis, Anne; Yoccoz, Nigel Gilles; Alm, Torbjørn; Zimmermann, Niklaus E; Guisan, Antoine. Accounting for a dominant species in habitat distribution models improves predictions on a regional scale. Ecography 2010; Volum 33. ISSN 0906-7590.s 1004 - 1014.s doi: 10.1111/j.1600-0587.2010.06386.x. Pellissier, Loïc; Bråthen, Kari Anne; Pottier, Julien; Randin, Christophe F; Vittoz, Pascal; Dubuis, Anne; Yoccoz, Nigel; Alm, Torbjørn; Zimmermann, Niklaus E; Guisan, Antoine. Species distribution models reveal apparent competitive and facilitative effects of a dominant species on the distribution of tundra plants. Ecography 2010; Volum 33 (6). ISSN 0906-7590.s 1004 - 1014.s doi: 10.1111/j.1600-0587.2010.06386.x. Gonzales, Victoria; Bråthen, Kari Anne; Ravolainen, Virve; Iversen, Marianne; Hagen, Snorre. Large-scale grazing history effects on Arctic-alpine germinable seed banks. Plant Ecology 2010; Volum 207. ISSN 1385-0237.s 321 - 331.s doi: 10.1007/s11258-009-9676-2. Ravolainen, Virve; Yoccoz, Nigel Gilles; Bråthen, Kari Anne; Ims, Rolf A.; Iversen, Marianne; González, Victoria. Additive Partitioning of Diversity Reveals No Scale-dependent Impacts of Large Ungulates on the structure of Tundra Plant Communities. Ecosystems (New York. Print) 2010; Volum 13 (1). ISSN 1432-9840.s 157 - 170.s doi: 10.1007/s10021-009-9308-7. 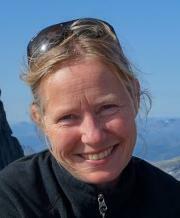 Bråthen, Kari Anne; Fodstad, Cathrine Helene; Gallet, C.. Ecosystem disturbance reduces the allelopathic effects of Empetrum hermaphroditum humus on tundra plants. Journal of Vegetation Science 2010; Volum 21 (4). ISSN 1100-9233.s 786 - 795.s doi: 10.1111/j.1654-1103.2010.01188.x. Austrheim, Gunnar; Bråthen, Kari Anne; Ims, Rolf Anker; Mysterud, Atle; Ødegaard, Frode. Fjell. 2010 ISBN 978-82-92838-27-3.s 107 - 119. Iversen, Marianne; Bråthen, Kari Anne; Yoccoz, Nigel Gilles; Ims, Rolf Anker. Predictors of plant phenology in a diverse high-latitude alpine landscape: growth forms and topography. Journal of Vegetation Science 2009; Volum 20 (5). ISSN 1100-9233.s 903 - 915. Wookey, P. A.; Aerts, Rien; Bardgett, Richard D.; Baptist, F; Bråthen, Kari Anne; Cornelissen, JHC; Gough, L; Hartley, Iain P; Hopkins, David W.; Lavorel, Sandra; Shaver, GR. Ecosystem feedbacks and cascade processes: understanding their role in the responses of Arctic and alpine ecosystems to environmental change. Global Change Biology 2009; Volum 15 (5). ISSN 1354-1013.s 1153 - 1172.s doi: 10.1111/j.1365-2486.2008.01801.x. Wookey, P. A.; Aerts, R; Bardgett, Richard D.; Baptist, F; Bråthen, Kari Anne; Cornelissen, JHC; Gough, L; Hartley, Iain P; Hopkins, David W.; Lavorel, Sandra; Shaver, GR. Ecosystem feedbacks and cascade processes: understanding their role in the responses of arctic and alpine ecosystems to environmental change. Global Change Biology 2008. ISSN 1354-1013.s doi: 10.1111/j.1365-2486.2008.01801.x. Ims, Rolf Anker; Yoccoz, Nigel Gilles; Bråthen, Kari Anne; Fauchald, Per; Tveraa, Torkild; Hausner, Vera Helene. Can reindeer overabundance cause a trophic cascade?. Ecosystems (New York. Print) 2007; Volum 10 (4). ISSN 1432-9840.s 610 - 622.s doi: 10.1007/s10021-007-9060-9. Bråthen, Kari Anne; Ims, Rolf Anker; Yoccoz, Nigel Gilles; Fauchald, Per; Tveraa, Torkild; Hausner, Vera Helene. Induced shift in ecosystem productivity ? Extensive scale effects of abundant large herbivores. Ecosystems (New York. Print) 2007; Volum 10. ISSN 1432-9840.s 773 - 789.s doi: 10.1007/s10021-007-9058-3. Bråthen, Kari Anne; Gonzalez, Victoria; Iversen, Marianne; Killengreen, Siw turid; Ravolainen, Virve; Ims, Rolf Anker; Yoccoz, Nigel Gilles. Endozoochory varies with ecological scale and context. Ecography 2007; Volum 30 (2). ISSN 0906-7590.s 308 - 320.s doi: 10.1111/j.2007.0906-7590.04976.x. Killengreen, Siw turid; Ims, Rolf Anker; Yoccoz, Nigel Gilles; Bråthen, Kari Anne; Henden, John-Andre; Schott, Tino. Structural characteristics of a low Arctic tundra ecosystem and the retreat of the Arctic fox. Biological Conservation 2007; Volum 135 (4). ISSN 0006-3207.s 459 - 472.s doi: 10.1016/j.biocon.2006.10.039. Bråthen, Kari Anne; Junttila, Olavi. Infertile times: response to damage in genets of the clonal sedge Carex bigelowii. Plant Ecology 2006; Volum 187. ISSN 1385-0237.s 83 - 95. Bråthen, Kari Anne; Agrell, J.; Berteaux, D.; Jònsdòttir, I.S. Intraclonal variation in defence substances and palatability: A study on Carex and lemmings. Oikos 2004; Volum 105 (3). ISSN 0030-1299.s 461 - 470. Bråthen, Kari Anne; Hagberg, Oskar. More efficient estimation of plant biomass. Journal of Vegetation Science 2004; Volum 15. ISSN 1100-9233.s 653 - 660. Krebs, C.J; Danell, K.; Angerbjørn, A.; Agrell, J.; Berteaux, D.; Bråthen, Kari Anne; Danell, Ö; Erlinge, S.; Fedorov, V.; Fredga, K.; Hjältèn, J.; Högstedt, G.; Jònsdòttir, I.S; Kenny, A.J. ; Kjellèn, N.; Nordin, T.; Roininen, H.; Svensson, M.; Tannerfeldt, M.; Wiklund, C.. Terrestrial trophic dynamics in the Canadian arctic. Canadian Journal of Zoology 2003. ISSN 0008-4301.s 827 - 843. Danell, K.; Berteaux, D.; Bråthen, Kari Anne. Effect of muskox carcasses on nitrogen content of tundra vegetation. Arctic 2002 (55). ISSN 0004-0843.s 389 - 392. Bråthen, Kari Anne; Oksanen, Jari. Reindeer reduce biomass of preferred plant species. Journal of Vegetation Science 2001; Volum 12. ISSN 1100-9233.s 473 - 480. Bråthen, Kari Anne; Odasz-Albrigtsen, A. M.. Tolerance of the arctic graminoid Luzula arcuata ssp. confusa to simulated grazing in two nitrogen environments. Canadian Journal of Botany 2000; Volum 78. ISSN 0008-4026.s 1108 - 1113. Barrio, Isabel C.; Lindén, Elin; te Beest, Mariska; Olofsson, Johan; Rocha, Adrian; Soininen, Eeva M; Alatalo, Juha M.; Andersson, Tommi; Asmus, Ashley; Boike, Julia; Bråthen, Kari Anne; Bryant, John P.; Buchwal, Agata; Bueno, C. Guillermo; Christie, Katherine S.; Denisova, Yulia V.; Egelkraut, Dagmar; Ehrich, Dorothee; Fishback, LeeAnn; Forbes, Bruce C.; Gartzia, Maite; Grogan, Paul; Hallinger, Martin; Heijmans, Monicque M.P.D. ; Hik, David S.; Hofgaard, Annika; Holmgren, Milena; Høye, Toke T.; Huebner, Diane C.; Jonsdottir, Ingibjørg; Kaarlejärvi, Elina; Kumpula, Timo; Lange, Cynthia Y.M.J.G. ; Lange, Jelena; Levesque, Esther; Limpens, Juul; Macias-Fauria, Marc; Myers-Smith, Isla; Van Nieukerken, Erik J.; Normand, Signe; Post, Eric S.; Schmidt, Niels Martin; Sitters, Judith; Skoracka, Anna; Sokolov, Alexander; Sokolova, Natalya; Speed, James David Mervyn; Street, Lorna E.; Sundqvist, Maja K.; Suominen, Otso; Tananaev, Nikita; Tremblay, Jean-Pierre; Urbanowicz, Christine; Uvarov, Sergey A.; Watts, David; Wilmking, Martin; Wookey, Phillip A.; Zimmermann, Heike H.; Zverev, Vitali; Kozlov, Mikhail V.. Publisher Correction to: Background invertebrate herbivory on dwarf birch (Betula glandulosa-nana complex) increases with temperature and precipitation across the tundra biome. Polar Biology 2018. ISSN 0722-4060.s doi: 10.1007/s00300-018-2305-6. Bråthen, Kari Anne; Ravolainen, Virve; Soininen, Eeva M. Den grønne tundraen. Ottar 2014 (302). ISSN 0030-6703.s 45 - 51. Bråthen, Kari Anne. Med krekling og gress på sommermenyen. Reindriftsnytt : Boazodoallu-Oddasat 2014; Volum 2. ISSN 0333-4031.s 42 - 45. Stien, Audun; Bråthen, Kari Anne; Cooper, Elisabeth J.; Ehrich, Dorothee; Hausner, Vera Helene; Henden, John-André; Ims, Rolf Anker; Jensvoll, Ingrid; Killengreen, Siw Turid; Ravolainen, Virve; Yoccoz, Nigel Gilles; Biuw, Martin; Fauchald, Per; Jepsen, Jane Uhd; Tombre, Ingunn; Tveraa, Torkild; Fuglei, Eva; Kohler, Jack; Pedersen, Åshild Ø.; Coulson, Steve; Eidesen, Pernille Bronken; Müller, Eike; Tveito, Ole Einar; Madsen, Jesper. COAT - Climate- ecological Observatory for Arctic Tundra. Biodiversity and ecosystem services in a changing environment : Challenges for science and conservation 2013-03-14 - 2013-03-14 2013. Ravolainen, Virve; Johnstone, Jill; Bråthen, Kari Anne; Henry, Greg; Myers-Smith, Isla. The future's results are in today's planning. Monitoring tundra vegetation. International Tundra Experiment ITEX 2013-09-17 - 2013-09-21 2013. Bråthen, Kari Anne. Tundra landscapes - pristine or cultural?. contested landscapes-lost ecologies / arctic frontiers 2013 2013-01-24 - 2013-01-24 2013. Bråthen, Kari Anne; Ims, Rolf Anker; Yoccoz, Nigel; Ravolainen, Virve; Henden, John-André; Killengreen, Siw Turid; Stien, Audun. Reindeer husbandry’s effects on biodiversity. Reindeer husbandry as a resource for the society Present contribution and future possibilities 2012-12-03 - 2012-12-04 2012. Bråthen, Kari Anne. Ressurser uten forvaltning. UTMARK: Tiden er overmoden for å kartlegge, overvåke og forvalte de verdifulle planteressursene i utmarka. http://www.nordlys.no/kronikk/article5966781.ece. Dagavisen Nordlys 2012.s 3 - 3. Ravolainen, Virve; Bråthen, Kari Anne; Soininen, Eeva Marjatta; Kollstrøm, Julie; Stien, Audun; Killengreen, Siw Turid; Henden, John-André; Yoccoz, Nigel; Ims, Rolf Anker. Tall shrub tundra vegetation and drivers of change. Arctic Net Annual scientific meeting 2012 2012-12-10 - 2012-12-14 2012. Soininen, Eeva Marjatta; Ims, Rolf Anker; Yoccoz, Nigel; Bråthen, Kari Anne; Ravolainen, Virve; Gielly, Ludovic. What to eat? Effects of food availability on vole diets and selectivity. DNA metbarcoding spring school 2012-03-05 - 2012-03-09 2012. Soininen, Eeva Marjatta; Ims, Rolf Anker; Yoccoz, Nigel; Bråthen, Kari Anne; Ravolainen, Virve; Gielly, Ludovic. Variability of vole food preferences - new insights using DNA metabarcoding. Rodent population ecology, behavior and management in the North and South 2012-02-21 - 2012-02-24 2012. Ravolainen, Virve; Bråthen, Kari Anne. Plant community shifts caused by herbivores. Land-Use Change in a Changing Climate: Farming Practices, Nature-Based Tourism, and Outdoor Recreation - Local Issues, Global Concerns 2012-02-01 - 2012. Ravolainen, Virve; Bråthen, Kari Anne; Kollstrøm, Julie; Stien, Audun; Yoccoz, Nigel; Ims, Rolf Anker. Can shrubs expand in grazed low-arctic ecosystems?. People and nature in mountains 2011-09-22 - 2011. Ravolainen, Virve; Bråthen, Kari Anne; Kollstrøm, Julie; Stien, Audun; Yoccoz, Nigel; Ims, Rolf Anker. Ungulates limit shrub establishment: large scale study in tundra. GFÖ 2011-09-06 - 2011. Soininen, Eeva Marjatta; Ehrich, Dorothee; Lecomte, Nicolas; Berteaux, Dominique; Bråthen, Kari Anne; Gauthier, Gilles; Tarroux, Arnaud; Yoccoz, Nigel; Ims, Rolf Anker. Are arctic rodents competing for food?. ArcticNet Annual Scientific Meeting 2010 2010-12-14 - 2010-12-17 2010. Soininen, Eeva Marjatta; Bråthen, Kari Anne; Justado, Juan German. Hard bites – can silicate levels in grasses alter rodent population dynamics?. 35e congrès de la SQÉBC 2010-11-05 - 2010-11-07 2010. Bråthen, Kari Anne. Intervjuet av NRK radio nyheter om betydningen av klimaendringer for vegetasjonen i Norge. 2008. Ravolainen, Virve; Ims, Rolf A.; Iversen, Marianne; Fauchald, Per; Bråthen, Kari Anne. Striden om sommerbeiter Sett fra vårt ståsted er ikke Kvaløya anderledes egnet som sommerbeite for rein sammenlignet med andre kystdistrikter i Finnmark. Finnmark Dagblad 2007. Bråthen, Kari Anne; Ims, Rolf Anker. "Økosystem Finnmark" Årsaker til og effekter av et variabelt beitetrykk av tamrein. Store herbivorer og fjelløkosystemet 2004-05-27 - 2004-05-28 2004. Ims, Rolf Anker; Killengreen, Siw turid; Yoccoz, Nigel Gilles; Bråthen, Kari Anne; Langeland, Knut; Skog, Elin; Scheie, Jon Ove. Fjellrev i Finnmark: Forskning og tiltak 2004. 2004. Bråthen, Kari Anne. Arctic and alpine plants and their interactions with herbivores � from individuals to the community. 2003. Bråthen, Kari Anne; Pentha, S.M. Reinens sommerbeiter: Varierer kvaliteten med tetthet av rein?. Reindriftsnytt : Boazodoallu-Oddasat 2003 (2). ISSN 0333-4031.s 48 - 51. Walde, R.; Bråthen, Kari Anne. Plant biomass and flowering in relation to weather in reindeer summer pastures. The 12th Nordic Conference on Reindeer Research 2002-01-01 - 2002-01-01 2001. Vileid, M.; Walde, R.; Bråthen, Kari Anne. Effect of simulated grazing on carbohydrate reserves, reproduction and growth in Cottongradd (Eriophorum angustifolium ssp. angustifolium. 10th International Tundra Experiment (ITEX) meeting 2000-01-01 - 1999.